The Call of Duty Modern Warfare 3 System requirements listed below are both the minimum system requirements made available by Activision and developer Infinity Ward when Modern Warfare 3 was released in 2011. These are the minimum PC specs gaming rigs need to meet in order to play the game without long load times, graphics stuttering or glitches and more performance related issues. With more than five years since the game's release, most low to mid-range PCs should have no trouble meeting the specifications detailed. Specs detailed by Activision include CPU requirements, Operating Systems, RAM, Video Card and more. If there is ever a question as to whether a certain gaming or non-gaming PC can handle the game, it is best to run a scan from CanYouRunIt to scan your PC's hardware and match it up with the published Call of Duty Modern Warfare 3 System requirements. In addition, they also make recommendations on hardware that may be required to bring your gaming PC up to the level required to run the game. Call of Duty Modern Warfare 3 was released in November 2011 and was one of the most popular and successful games in the Call of Duty series of video games. It is the eighth title to be released in the series and stand as the final game in the widely popular Modern Warfare story arc trilogy which started in Call of Duty 4: Modern Warfare. In Call of Duty: Modern Warfare 3 the storyline picks up where Call of Duty: Modern Warfare 2 left off with the elite special forces unit, Task Force 141, still on the trail for the Russian Ultranationalist leader Vladimir Makarov. Players take on the role of an elite soldier in this task force as the confrontation between the United States and Russia escalates to full-fledged war, World War III to be exact. Many of the characters from the previous two Modern Warfare games make an appearance in Modern Warfare 3 but there is also a host of playable and non-playable characters. In addition to the single-player storyline, Call of Duty Modern Warfare 3 includes a competitive multiplayer game mode which includes dozens of maps and game modes to keep the game fresh and fun to play. The multiplayer mode also includes many gameplay elements and features that are part of most multiplayer shooters. This includes achievements and perks which are awarded after a certain number of kills or actions. 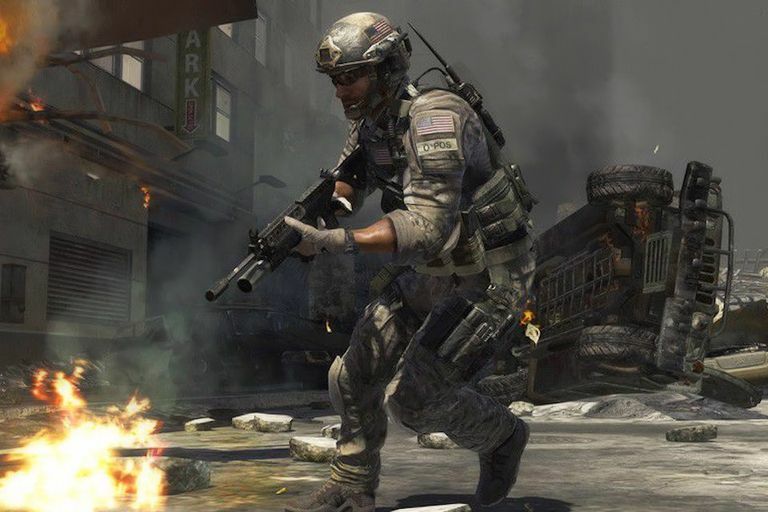 In addition, Modern Warfare 3 includes a number of character classes for players to choose, each of which takes on a specific role within the team, such as assault, support, sniper, medic and more. If your system can handle it, but it here.